The backing is what's on the other size of the crest when you turn it over. 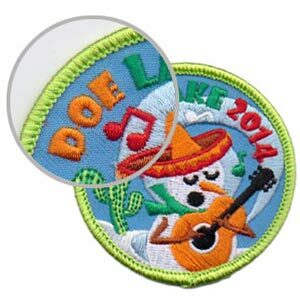 We offer five different types you can choose from to make your custom patch perfect. The standard backing is plastic as it gives the crest stability, however alternative backings are available at an extra cost. Super heat seal withstands a higher heat than standard iron on. You can even choose no backing at all! No backing is where the threads show through and are not covered by any type of material. 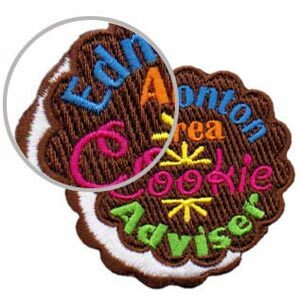 For velcro backing, we offer a choice of hook or loop for a velcro backing. You may choose both, but an additional charge will apply. Hook Side is the "loop, grabby, stiff" side, and loop is "softer and fuzzy". Merrow borders are a thick stitch that is applied to the edge after embroidery and cutting which provides a finished trim and bulkier edge. It also makes it easier for hand sewing. We also offer laser cut borders. Cut to shape, this border option is perfect for custom shapes.